In 1990, a British mail order record shop offered "a strictly limited quantity of a special edition, studio quality live TD LP from their 1986 tour..." for 10 Pounds. 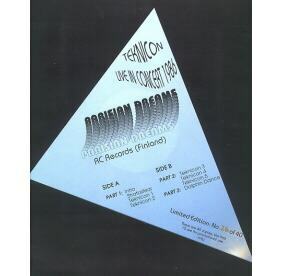 Those lucky enough to win the "first come, first served" race found Parisian Dreams in their postbox, an excellent, professionally remixed recording of their concert at Paris Olympique in March 1986. It comes with a simple insert cover (different colours have been seen), some copies are numbered, but no quantity is specified. The second part of this concert followed a few weeks later in a similar shape as Parisian Dreams Too. 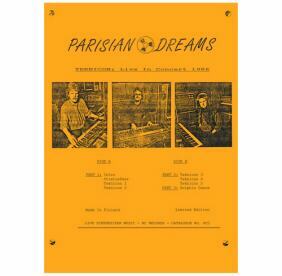 This bootleg became obsolete due to the release of Tangerine Tree Volume 69: Paris 1986.